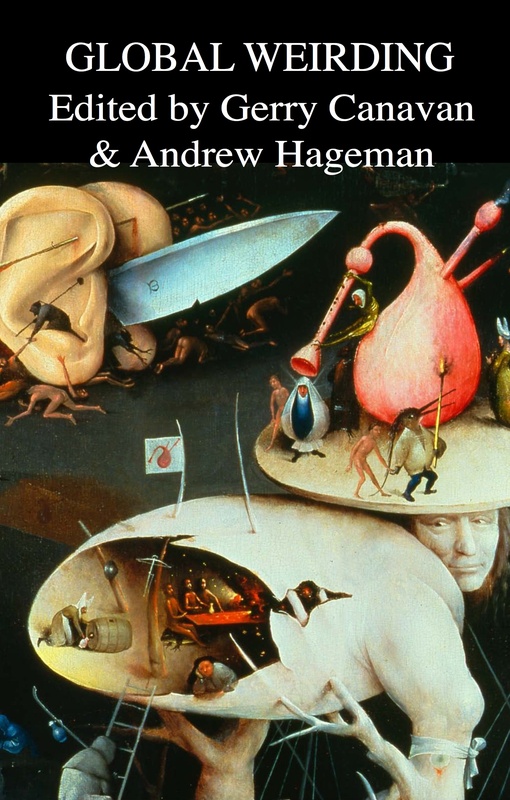 * Stanford freshman’s documentary chronicles Huntington’s disease decision. Spoiler alert. Indiegogo fundraising. Twitter. * My particular demographic: Study Finds Vegetarians Will Live Longer, Are Boring. * The new governor of North Carolina wants to destroy the state’s crown-jewel educational system. I’m certain that those classes more than pay for themselves, as the humanities always do. * Anticipating domestic boom, colleges rev up drone piloting programs. * Average Student Debt Has Ballooned 58 Percent In The Last Seven Years. * Damn you, President Romney! Office Working to Close Guantánamo Is Shuttered. * The Top Five Truths You Won’t Hear Any U.S. Official Admit. * A 15-year-old girl who performed at President Obama’s inauguration last week was shot dead Tuesday while hanging out with friends in bullet-scarred Chicago. Meet The 9 Year-Old Girl Who Likely Would Be Alive Today If High-Capacity Magazines Were Illegal. 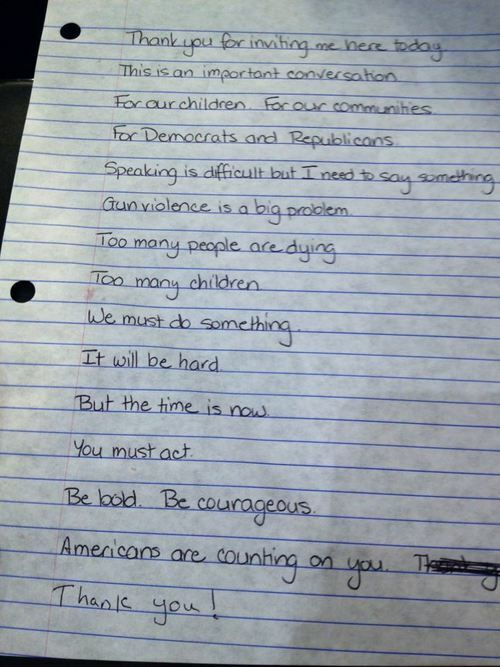 Gaby Giffords’s notes for her testimony before Congress; the video is amazing. There was a mass shooting during her testimony. * One Step Closer To Compensation For College Athletes. * This is what happens when you give people license to unleash their Inner Authoritarian, when you encourage them in thinking that the arbitrary enforcement of irrational codes of behavior designed to keep a labor force unpaid that is making you billions of dollars are somehow on an equal footing with actual criminal and civil law. * A newly elected Ohio Supreme Court justice who achieved the unlikely feat of ousting an incumbent without accepting any campaign contributions is not wasting any time in asserting his opposition to the death penalty. * Teenage Girl Blossoming into Beautiful Object. * Nearly half of Americans are one emergency from financial ruin. * GOP’s Electoral Vote Scheme Already On Life Support. * Frank R. Paul art gallery. Yes please. * The Subtle Code of Inequality in Children’s Books. * There’s a monster at the end of this tweet. * Five Female Characters Who Should Star In Star Wars Episode VII. * A website for the US judicial system states that jurors are “not expected to speak perfect English”: Cat ordered to do jury service. * It is often claimed that renewables are still too costly and not yet competitive with conventional energy sources. But what costs are incurred when renewable energies are not used? Every day during which potential renewable energy sources are not utilised but exhaustible fossil fuels burnt instead speeds up the depletion of these non-renewable fuels. Using burnt fossil fuels for nonenergy related purposes (e.g. in the petro-chemical industry) in the future is obviously impossible. Thus, their burning – whenever they could have been replaced by renewables – is costly capital destruction. This study concludes that, estimated conservatively, the future usage loss resulting from our current oil, gas and coal consumption is between 3.2 and 3.4 trillion US Dollars per year. * You are living in a simulation: New $1.6 billion supercomputer project will attempt to simulate the human brain. * A Russian family that disappeared into the Siberian wilderness in 1936 and had no contact with other people for more than 40 years. * In-depth, stage-by-stage, exhaustive examinations of classic 8-bit game design: Castlevania, Castlevania II, The Legend of Zelda, and Castlevania III. * And an epic game of tag that has been going on for 23 years.